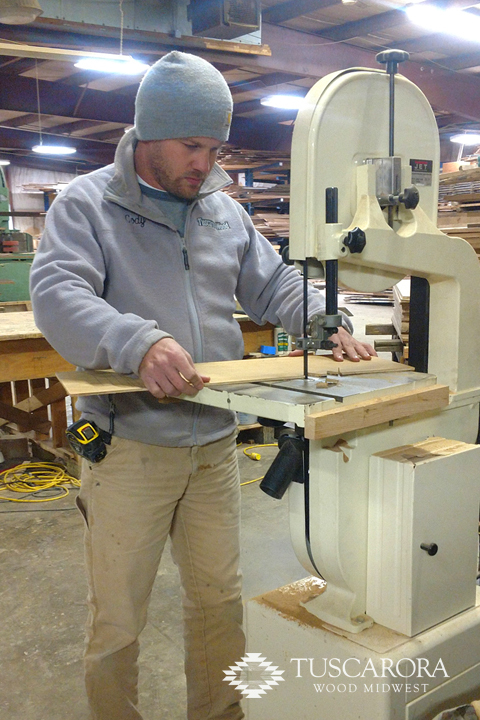 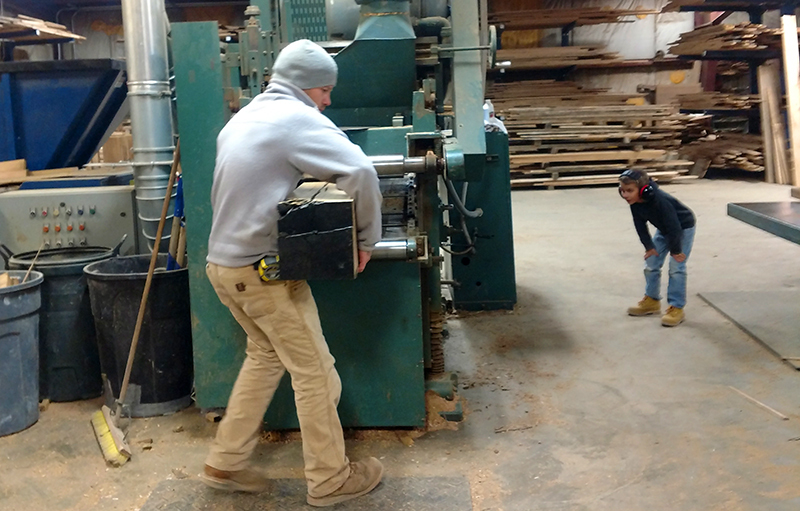 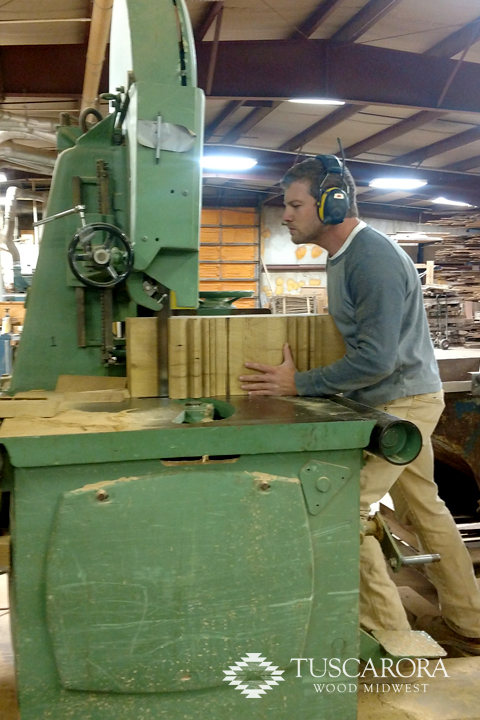 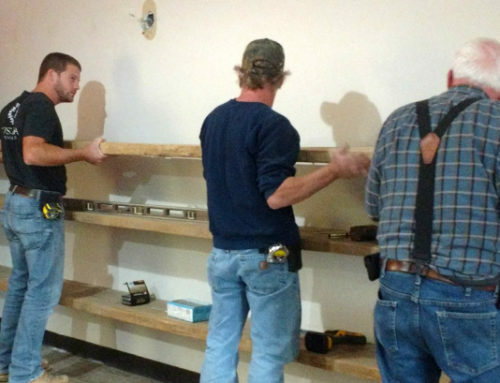 What does a millshop owner do for Christmas? 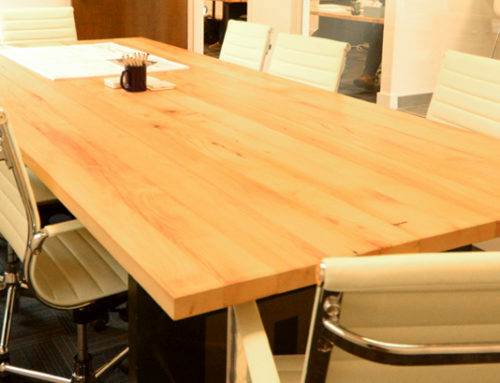 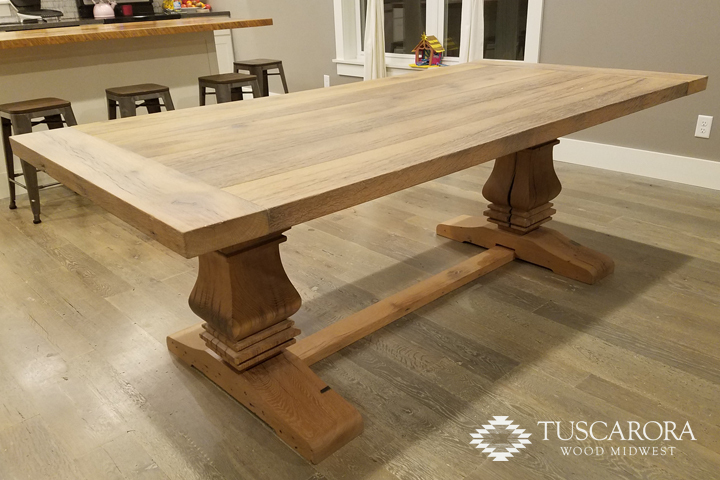 This custom table has definitely been our favorite build to date for a number of reasons. 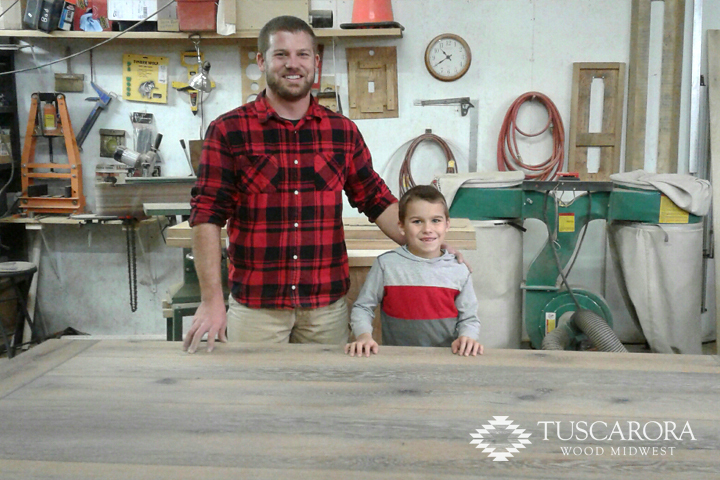 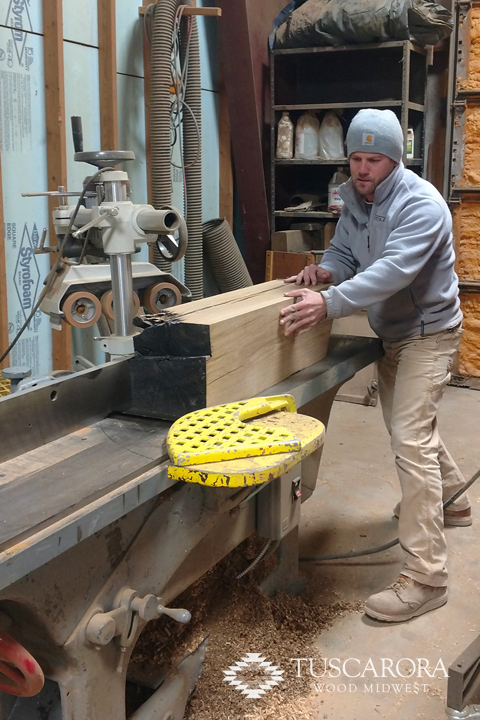 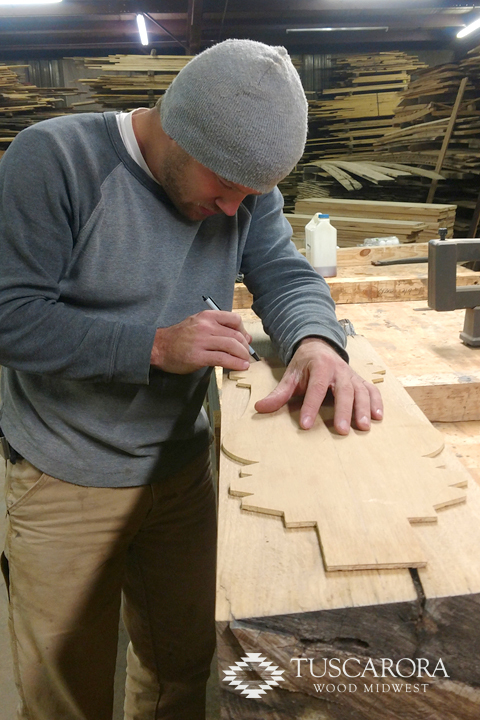 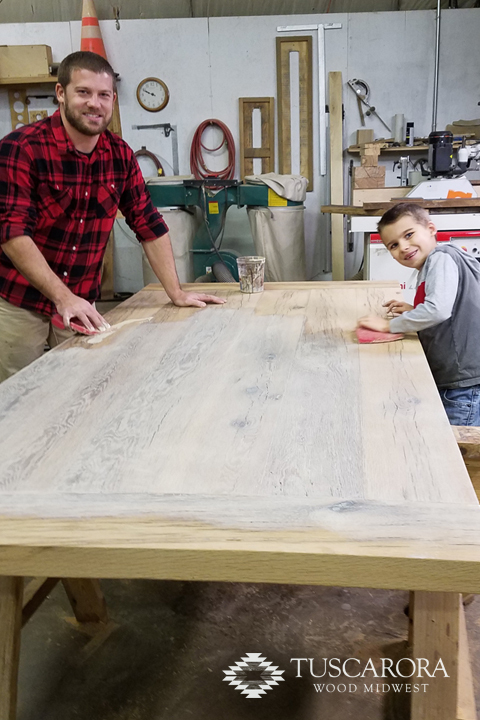 These custom pedestal beams were a fun change of pace to design and mill and I was blessed to have some extra special help from my son on the build. 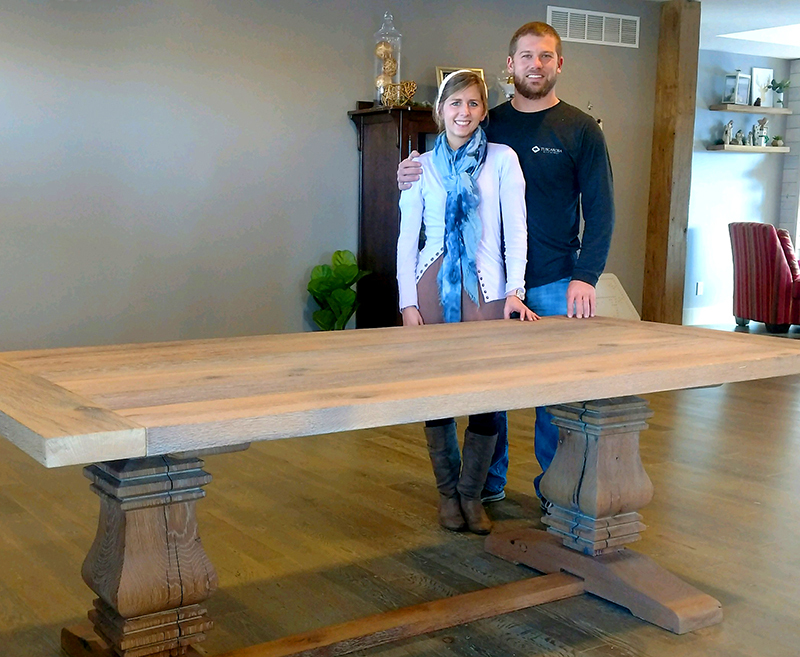 And, after weeks of work, we even kept it a secret from mom for a surprise Christmas gift! 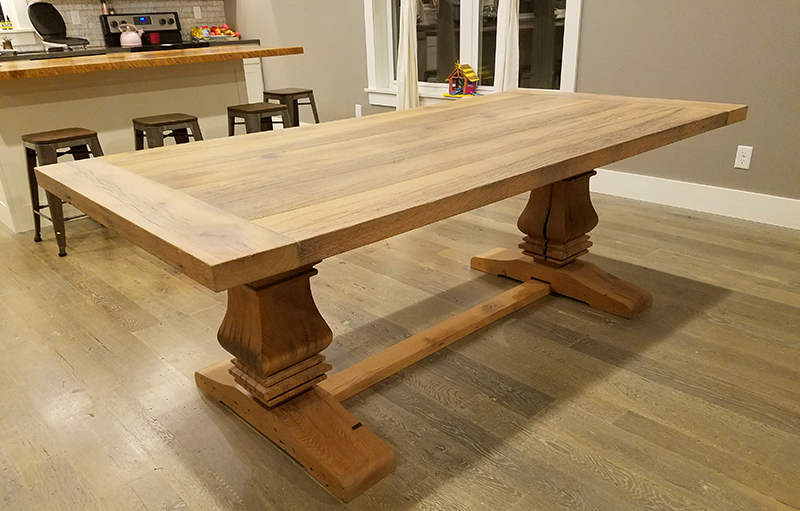 We first featured this unique table on our Instagram feed but are now giving a little more detail along with some behind the scene photos of this exciting custom build. 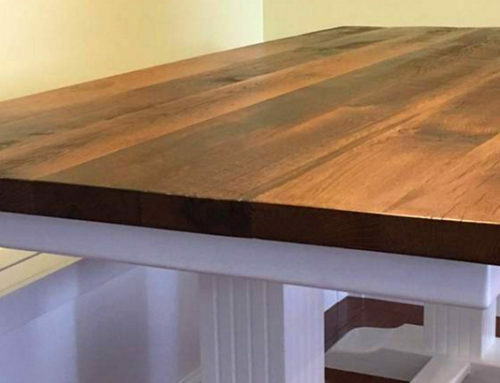 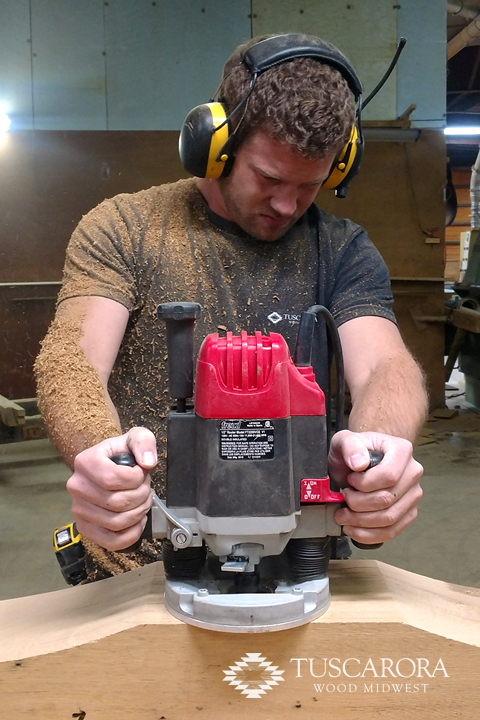 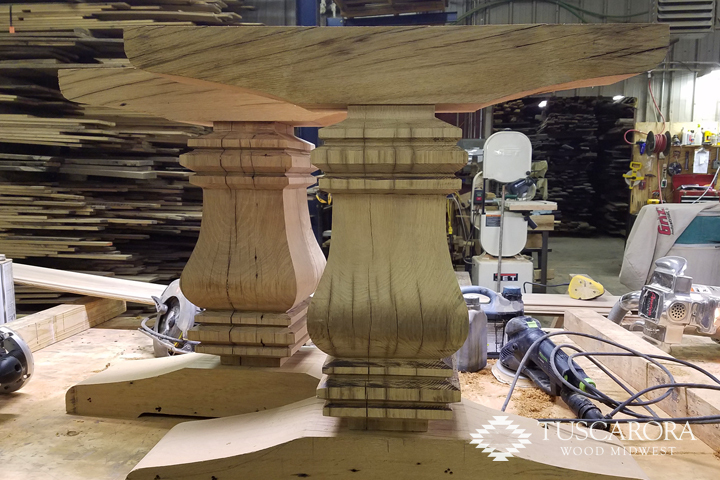 This pedestal table is a beast – weighing in at nearly 400lbs! 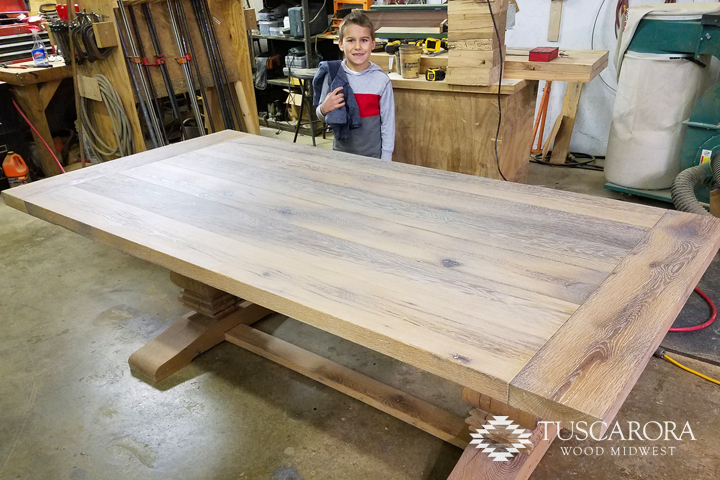 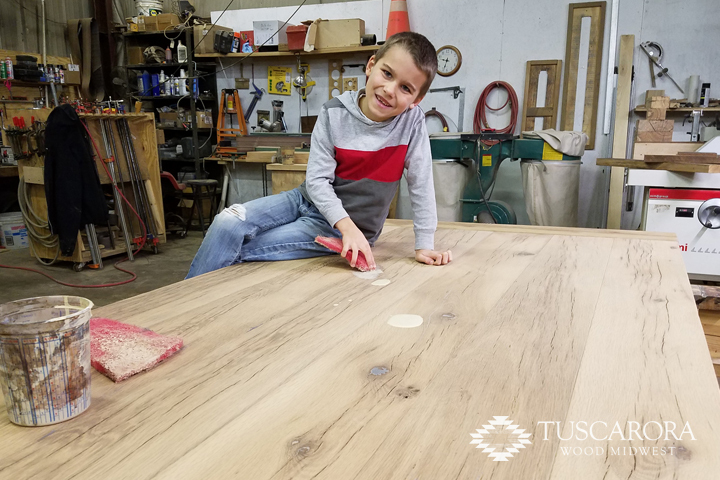 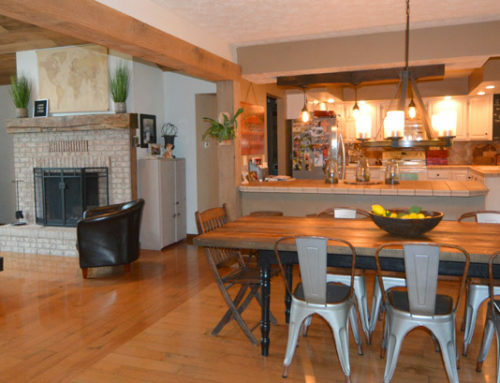 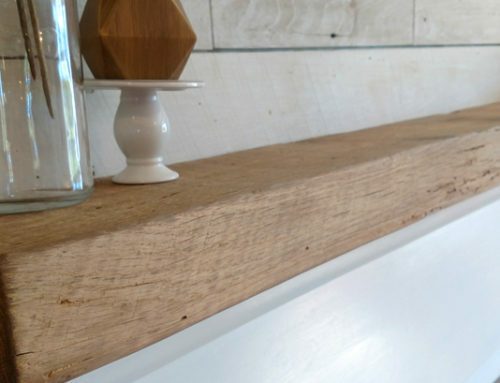 The table top is white Oak from 3″ thick reclaimed floor joist, wire brushed for texture and finished with a Rubio monocoat oil. 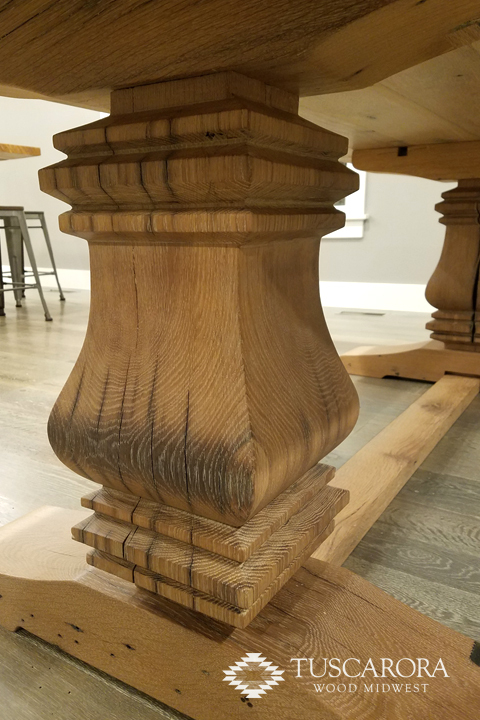 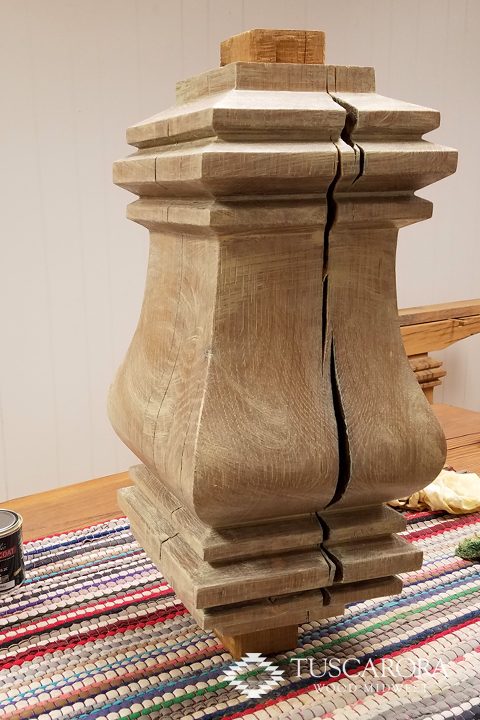 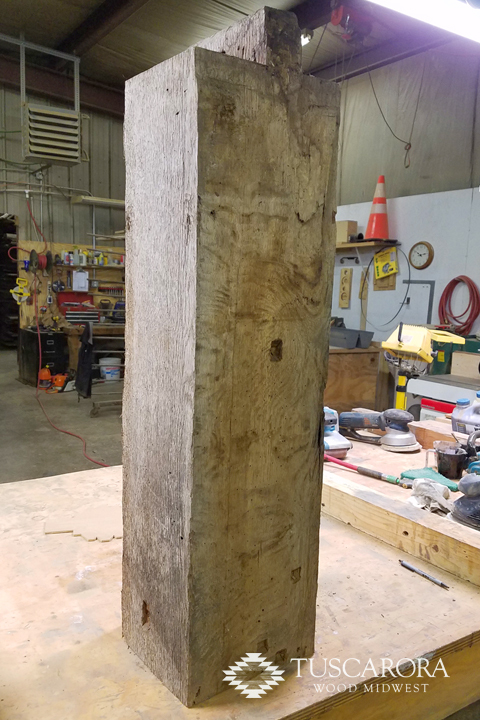 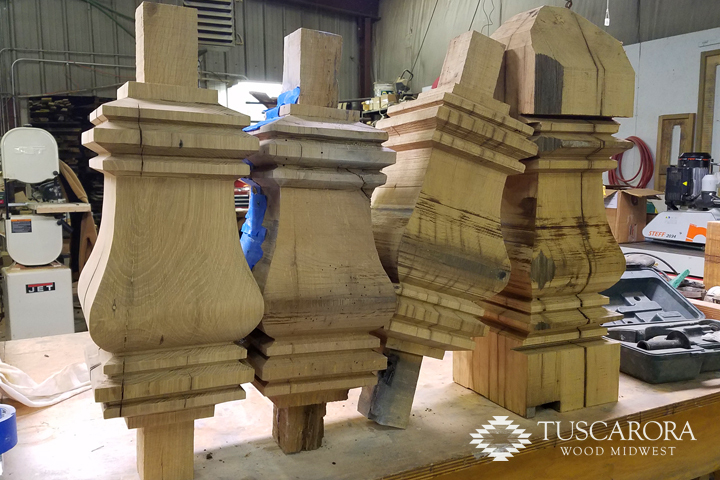 The pedestal legs are solid pieces of timber cut from 10”x10” barn beams and finished with a wire brush and Rubio oil. 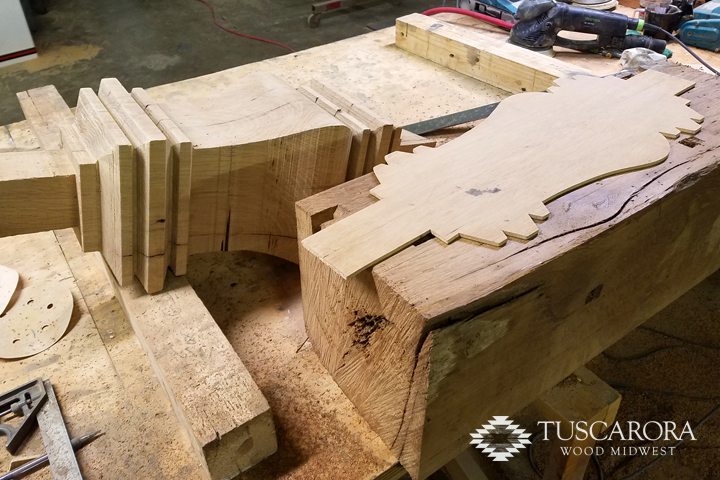 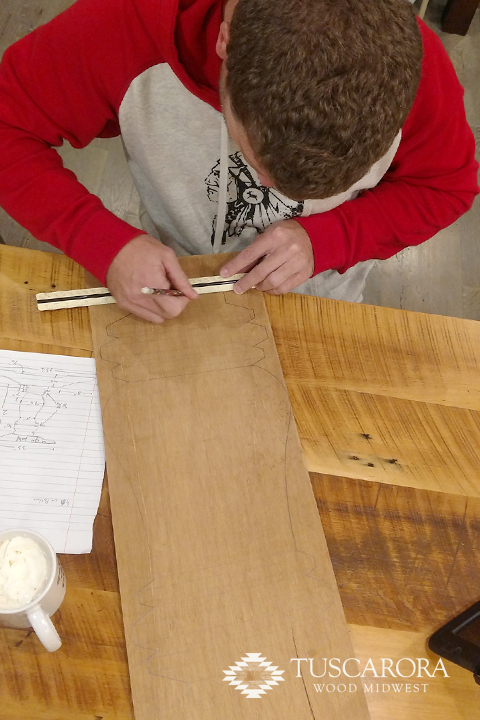 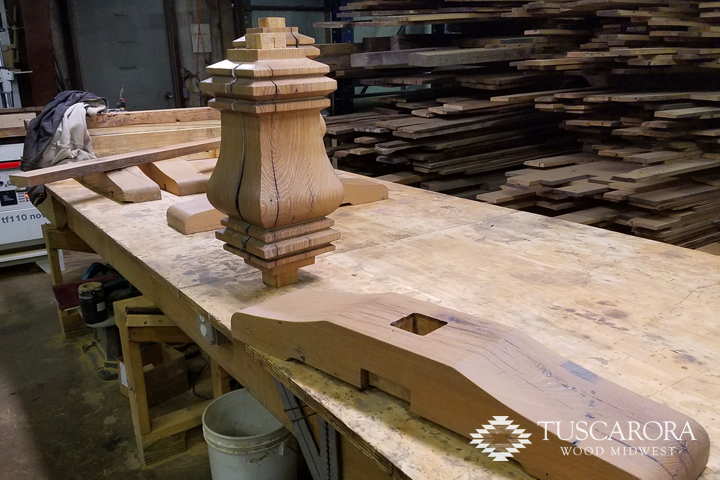 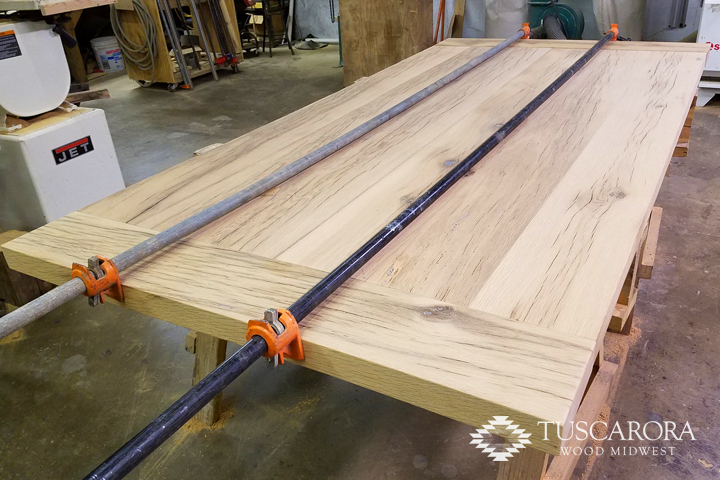 We even went old-school on the build, you won’t find a single screw as the entire table is put together by mortise and tendon joint. 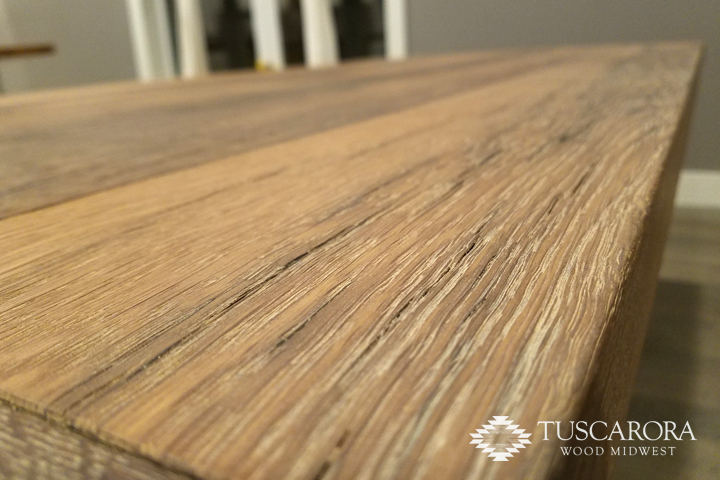 You can see more of the details in the photo gallery below. 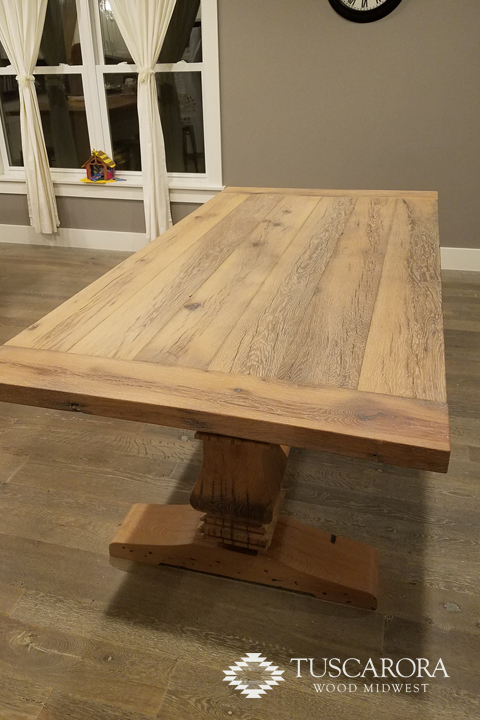 This was definitely an exciting build but, surprising my wife for Christmas was even better!